"Hey mom, can we get our own iPhone? 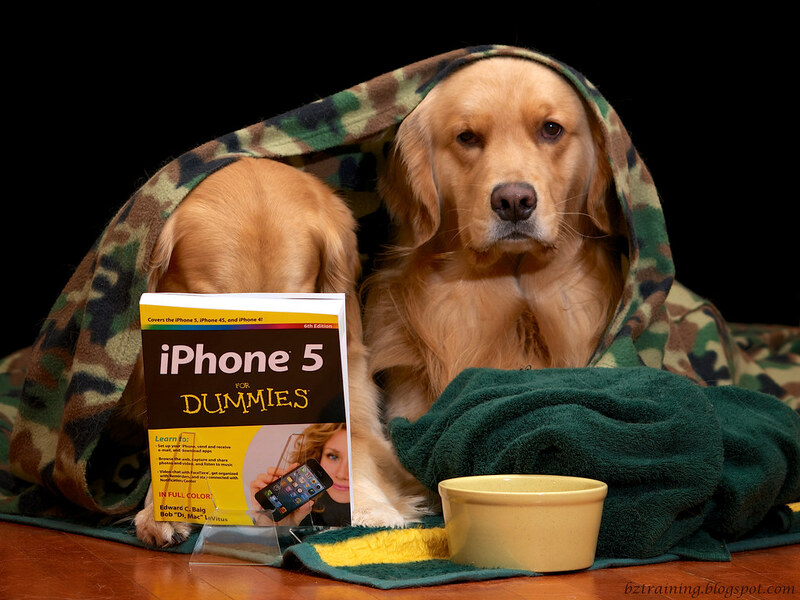 I found this nifty book that explains all about it." Well, I don't know dears. It's kinda tricky to use, even with fingers, I'm not sure how well it's going to work with paws. Why don't you read up on it a bit, and then we'll see. 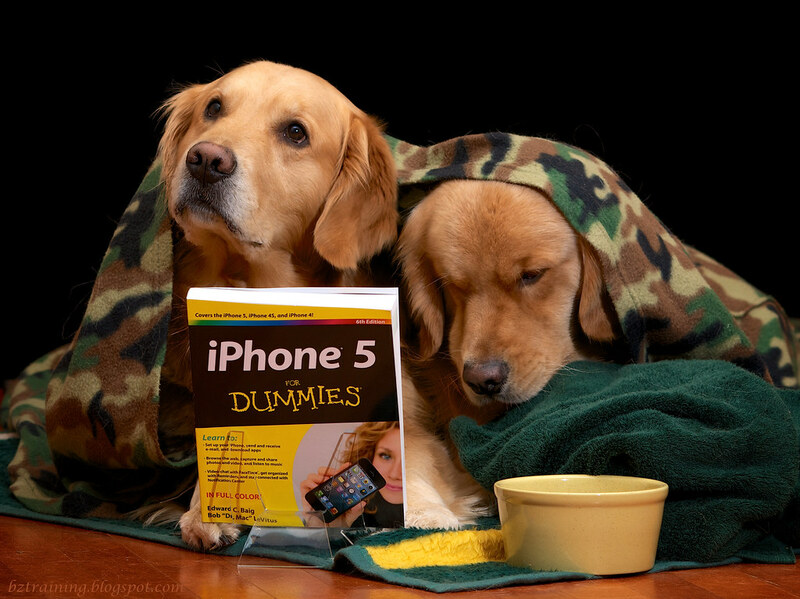 "Surfing, pictures, maps, text messages, appointments, restaurant reservations, scores... this sounds awesome!" Our Daily Challenge - Jan 5, 2013 - "Green"
Daily Dog Challenge "432. Shades of Green"
The Monthly Scavenger Hunt January 2013 - "#2. 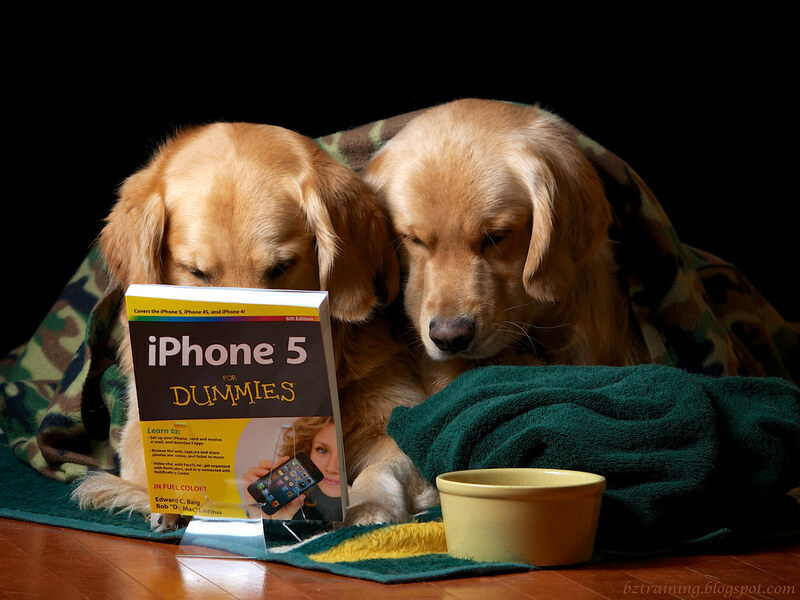 Learning"
… how to use their new iPhone 5. 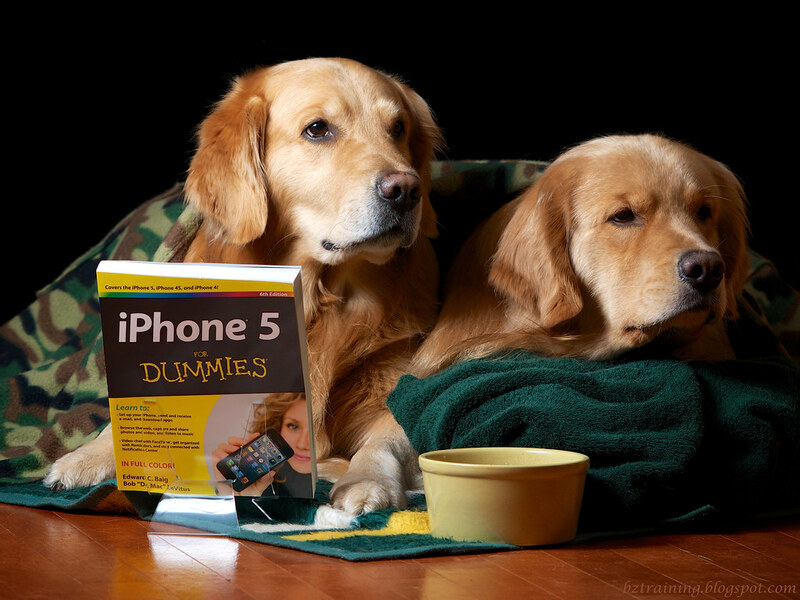 "Maybe we should get an iPaws instead." Editor's Note: For those who might have been concerned, Kitty was saved from the auction block just in time, and Zachary had a bit of a talking to. I'm sure such a thing will never happen again, aren't you? darn cute! 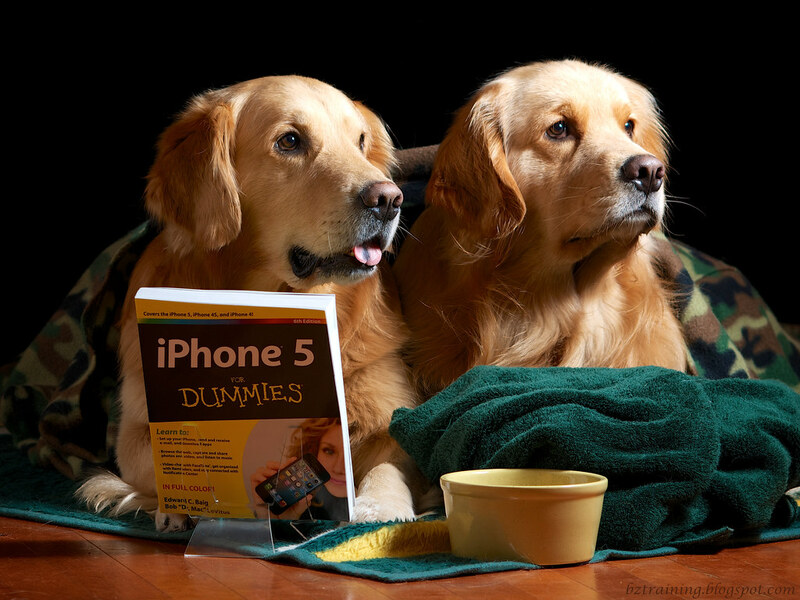 Ipaws!! love the camo snuggie! Beautiful pups are beautiful pics! Colors are wonderful, this blog is just a joy to look at! Great job photoing these guys! Your photos are looking so good. The boys look awesome!